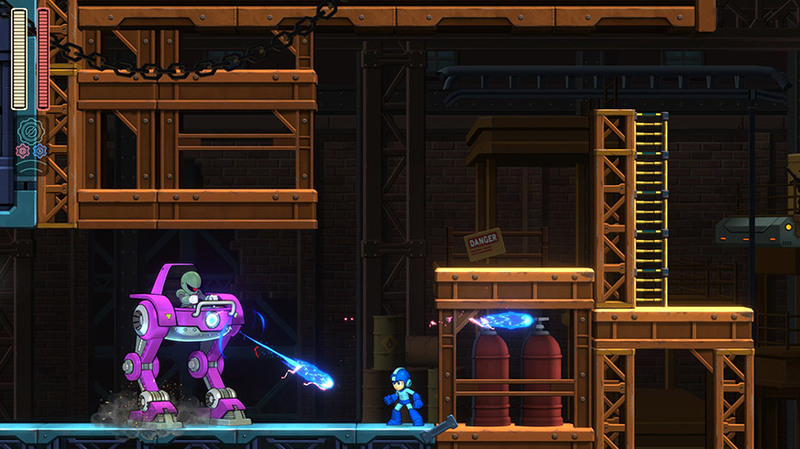 Hot on the heels of this morning's announcements, Capcom updated the official Mega Man 11 website with additional details and screenshots. First up is a closer look at Blast Man's stage. The descriptions reads: "Blast Man's stage is filled with explosions of all sorts!Trip the wrong sensor and you'll get blown away. Some traps also destroy platforms, putting you at risk of getting stranded, or worse!" There's a few new screenshots here, including the return of Sniper Armor! 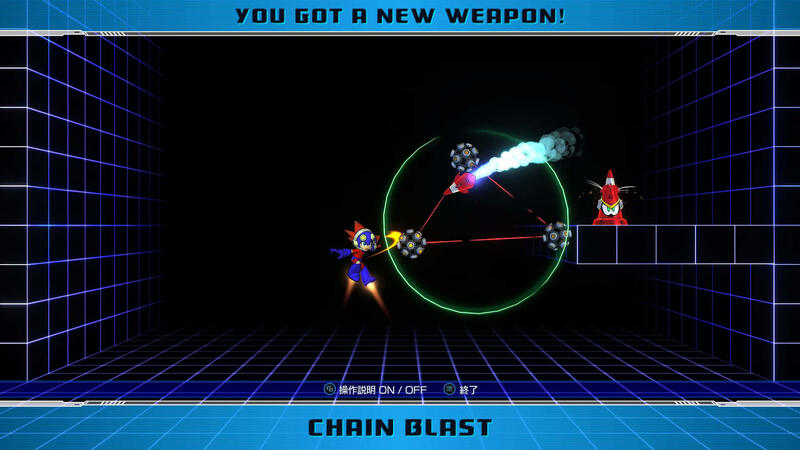 Second, we have additional details on Blast Man's weapon, "Chain Blast". "Blast Man's sticky bombs latch onto enemies and detonate! Connect multiple bombs for bigger blasts or fire them off and wait for them to blow up!" Additional Chain Blast screenshots here. And finally, two new modes have been revealed: Score Attack and Jump Saver Mode. In Score Attack, your job is to defeat enemies and collect points as fast as you can. You'll earn more points by defeating multiple enemies at the same. Jump Saver Mode's description is a little vague. It says, "This mode features a jump counter in the upper-right corner. Don't waste those jumps!" It's unknown if that means you'll start out with a limited number of jumps or if you can jump as much as you want BUT the goal is to use as few as possible. These challenges plus Time Attack and Balloon Attack mode can be accessed from the Special Menu (look at that; a Gallery mode, too!). More details on that front soon, I'm sure. Head to the official website and Game Watch for more screenshots! What does that Japanese for the fourth Specials Menu option say? I don't know but my random guess would be Downloadable Content maybe? I get what they were going for with the Balloon Attack mode, but boy does it sound boring. I just can't see anyone getting excited over it. The rest of the game is shaping up quite nicely, though! Score attack actually kind of sounds like something Comcept was going for with Mighty Number 9. Something tells me it will probably be a bit more enjoyable in this game. I think the Japanese site for Rockman 11 also has a video of how Chain Blast works. @NES Boy: It is for automatic upload settings. Probably control what data (like ranking) gets uploaded.